Highlights this month include a Bedford TM built from spare parts, and a vacuum tanker, which comes as a flat pack kit. 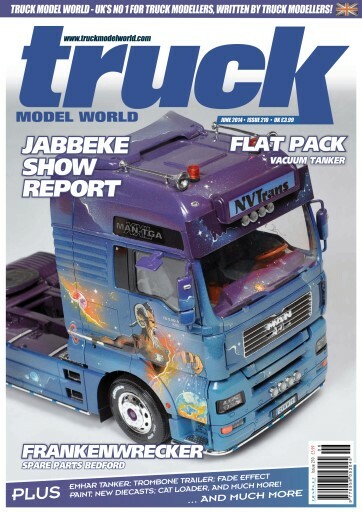 We bring you a report and pictures from the On the Road show in Jabbeke, which included many of Europe’s top truck modellers. Revell’s re-issued Mercedes fire service turntable ladder gets another outing, and we look at the latest Emhar Bedford in fuel tanker format. From the US we have a classic Mack petrol tanker largely built in brass, and staying with US trucks, the Convoy movie Love Machine Mack series continues with a look at the cab. 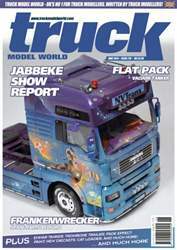 Diecast articles featuring a heavy haulage Actros and some of Corgi’s new releases will appeal to mid scale builders and collectors.